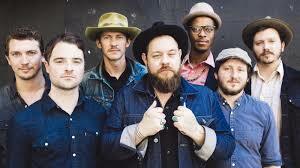 With the overwhelming success of Nathaniel Rateliff & The Night Sweats self titled debut to say that the last eighteen months has been some kind of wild ride for Rateliff & co. Not only has there been a mountain of prime late night performances (Fallon, Kimmel, etc.) to sellout crowds spanning the globe. Even the famed music showcase, Austin City Limits jumped on board. 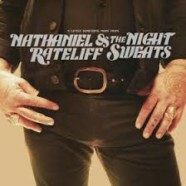 In today’s musical climate, striking while the iron is hot in regards to releasing music is the standard and in all honesty, I was a bit skeptical of the aptly titled A Little Something More From Nathaniel Rateliff & The Night Sweats (Stax) which is an eight song e.p. made up of B-sides, outtakes and added tracks. Typically, releases of this ilk are poor representations in comparison to the previous releases and are normally a complete let down for the listener. Thankfully, the Rateliff camp did their homework and released an e.p. worth as much praise as their debut offering. Nathaniel Rateliff’s soulful troubadour styling’s still ring true on this album although there’s a much stronger blues influence throughout. Nonetheless, all the ingredients and energy that made fans fall in love with them are still discernible. Bottom Line: Nathaniel Rateliff & The Night Sweats prove that if you follow your heart rather than the status quo, you’ll always come up aces!